Inaccessible boot device errors in Windows 10 aren’t hard to fix. We’ve already explained how to fix one of the most common problems: the “critical process died” stop code. Now it’s time to look at another issue frequently complained about: how to fix an inaccessible boot drive error. What exactly causes the issue? How do you know if it’s affecting you? And what can you do to fix it? Keep reading to find out more. What Is the Inaccessible Boot Device Error? We all know Windows loves to update itself. Often, it’s exciting—especially when a major upgrade rolls around. But your excitement can quickly turn to despair. Picture the scene. You eagerly wait for Windows to reboot after the upgrade, then BAM! You see a “blue screen of death” (BSOD) with the inaccessible boot drive error message and your computer restarts. In simple terms, the message means Windows lost its access to the system partition during the startup process. Although tens of thousands of users saw the code as a result of a 2017 update, the boot device error has a number of possible causes, including BIOS updates and overclocked CPUs. Some users suggest that the problem appears to be more prevalent in computers running an SSD. Let’s take a look at how you can fix the inaccessible boot device error in Windows 10. Unfortunately, you might need to try several different solutions. If you believe an update has caused your problem, you need to work through your recently installed packages and remove them one by one. Hopefully, you will eventually delete the update that’s causing the issue. Note: The following process will restart your machine. Make sure you save any work before continuing. To begin, open the Settings app and navigate to Update and Security > Recovery > Advanced Startup > Restart Now. After a few moments, a blue screen will pop up. Go to Troubleshoot > Advanced Options > Command Prompt. Type dir c: (assuming Windows is installed in the C drive) and press Enter. You will see all the packages installed on your system. Use the date field to identify the most recent and make a note of its complete name. To remove the package, type dism.exe /image:c:\ /remove-package /[package name]. Replace [package name] with the name you noted in the previous step. If removing the most recent update did not fix your issue and you still see BSODs Windows 10 Crashing With a Blue Screen of Death? How to Troubleshoot It Windows 10 Crashing With a Blue Screen of Death? How to Troubleshoot It Did a Blue Screen of Death ruin your day? It comes without warning and it persists until you fix the underlying issue. We'll show you a few easy ways to troubleshoot your BSOD. Read More , repeat the above process with the next most recent update. Sometimes, Windows updates get stuck in a strange limbo, forever pending and never installing. These pending updates can cause the inaccessible boot device error. To remove them, you’ll once again need to open Command Prompt in the advanced startup options by going to Update and Security > Recovery > Advanced Startup > Restart Now > Troubleshoot > Advanced Options > Command Prompt. Next, you need to move any pending updates into their own temporary file. Type dism /image:C:\ /get-packages to get a list of updates. Make a note of any which have the “Install Pending” tag. Now you need to create the temporary file. Type MKDIR C:\temp\packages and press Enter. Lastly, move all the pending packages into the temporary file. Type dism /image:c:\ /remove-package /packagename:[package name] /scratchdir:c:\temp\packages and press Enter. Replace [package name] as appropriate. 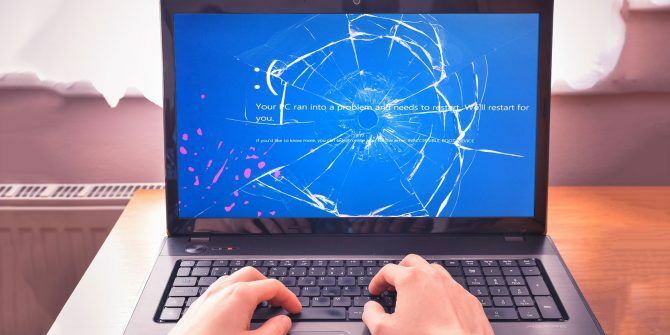 If neither of the two fixes we’ve already discussed manages to solve your problem, there are some other generic troubleshooting steps you can try before heading to your local PC repair shop. Firstly, try and update your drivers. Faulty drivers can be responsible for any number of ailments on your machine. The problem is more likely to present itself if you are using old drivers How to Easily Remove Old Drivers From Windows How to Easily Remove Old Drivers From Windows Not only does Windows retain previous driver versions for current devices, it also stores drivers for devices you stopped using long ago. We'll show you how to clean up old drivers from your system. Read More . In the case of the inaccessible boot device error, the most common culprit is an IDE ATA/SATA controller driver. There are two ways to check for updates. Firstly, you could check the manufacturer’s website. Secondly, open Device Manager, expand the IDE ATA/SATA controller sub-menu, right-click on Standard SATA AHCI Controller, and select Update Driver. Some users have reported that enabling AHCI mode in your system BIOS instantly solves the inaccessible boot drive error. The BIOS menu can vary considerably between manufacturers, so there’s not a one-size-fits-all way of explaining the process. However, in general terms, you’ll need to enter the BIOS during boot (typically by press Escape, Delete, or one of the Function keys), head to the Advanced Options menu, find Set AHCI Mode, and change the value to Enabled. Corrupted files on your hard drive might be the cause of the error. Thankfully, if they are the root of the issue, it’s straightforward to fix. Firstly, you need to open Command Prompt as an administrator. To do so, press the Windows key, type cmd, right-click on the result and choose Run as administrator. Within the Command Prompt app, type chkdsk /f /r and press Enter. Wait for the app to process your input, then type Y and press Enter. If you cannot boot Windows, you can also run this command from the recovery console by entering chkdsk /r C: instead. 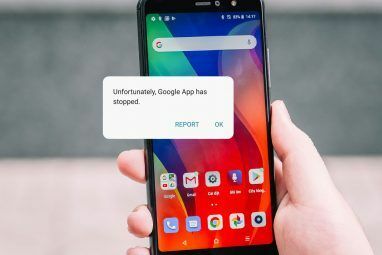 If you’ve still not managed to fix the inaccessible boot device error, you might feel like it’s time to call in a professional. 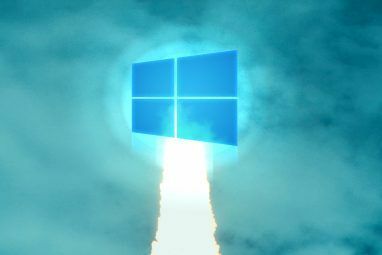 Lastly, you could try taking the nuclear option and reset Windows 10 back to a clean copy 4 Ways to Reset Windows 10 and Reinstall From Scratch 4 Ways to Reset Windows 10 and Reinstall From Scratch Windows 10 is still Windows, meaning it will need a fresh start every once in a while. 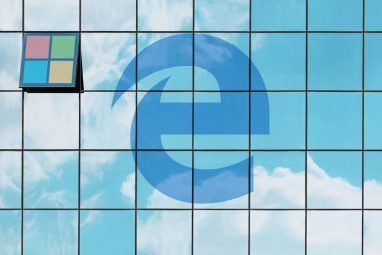 We show you how you can get a fresh Windows 10 installation with as little effort as possible. Read More . If you choose this approach, you will lose all your data, so make sure you make a back up your data before starting. Explore more about: Boot Errors, Hard Drive, Troubleshooting, Windows 10.
don't you people realise that if you have this error or other error that completely stops your computer from starting it is worse than useless to advise people to use windows functions to solve the problem!!! If windows won't start how the hell can you use windows functions to solve the problem!!! AHCI mode (solution 4) fixed it for me. Thank you so much! After many hours of fiddling about, my solution turned out to be simple - load the BIOS default settings. Instant satisfaction! My problems started after a Dell request to update which I did. Now it's asking again to update but I hesitate. - Restart PC and immediately start hitting F2 until you either get the BIOS screen up or a choice in the bottom right corner of the blank screen of F2 or F12. - In the BIOS screen, the default option is listed down below, F9 if memory serves me right. Thanks mate, had a Dell 7390 with the above error and Enabled AHCI Mode in the BIOS. Its booting now! Didn't want to touch the BIOS at first but nothing work. Tried after Kirk comments, solution 4 work perfectly. Thank you so much for this. Thought that I might have to reset windows again. OMG thank you so much - solution number 4 fixed my problem. I had just changed the cmos battery & it looks like that setting had reverted to 'disabled'.